Wind Turbine Land Leases are ideal if you don’t want to invest, but prefer to receive a rental income and enjoy cheaper electricity too. Please note that due to recent Government announcements we are unable to look at sites which do not already have planning permission. If you already have planning though, please get in touch and we can quote you for the projected quarterly rental income that we would pay for your site. Provided you already have planning, we can take care of everything. Boythorpe Wind Energy will then pay you up to 10% of the Gross combined income from the turbine site, and the amount will rise in accordance with inflation over the 20 year lease. We cover all the costs and there’s nothing for you to pay ongoing either. 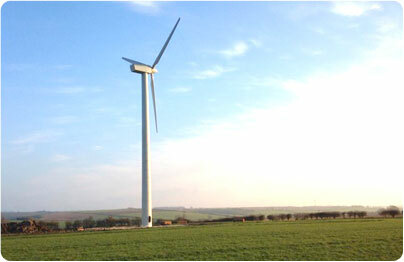 Boythorpe Wind Energy maintain the turbine and can supply the property with clean renewable electricity generated by the turbine at 5p per unit, far cheaper than most energy companies. In other words, on a Land Lease deal everything is free. You simply let us do everything on your behalf, and automatically receive land lease payments every quarter.